Bearhouse Characters are all named after famous places or landmarks be it palaces, castles or visitors attractions right here in the UK. 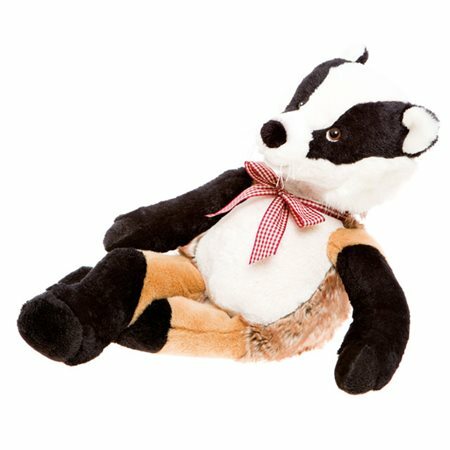 Blickling the badger is made from several different types of plush. He has his badger stripes to his face and back. Bent at the knee so he can sit on your shelf or the end of your bed. Lovely detail is used to highlight his features and he is weighted for extra cuddle-ability. All Bearhouse Bears are machine washable and suitable for any collector aged 18 months or older.